All panels and products of EQUITONE described in the FASADES section can be used successfully in interiors. 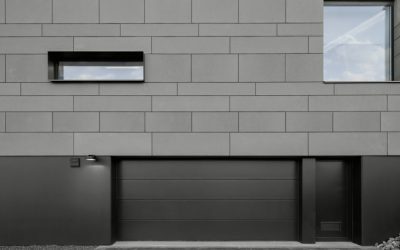 The fibre-cement from the series EQUITONE [tectiva] is a through coloured facade material, characterized by finely sanded lines close to the appearance of natural stone and its naturally dispersed nuances from the ‘cloud’ type. 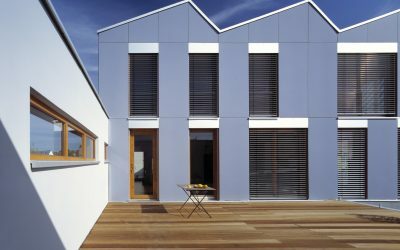 The fibre-cement from the series EQUITONE [natura] is durable and requires low cost for maintenance. 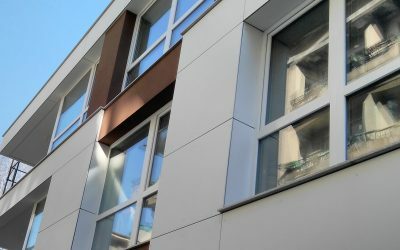 Each colour is unique and is discretely showing the rough texture from the fibre-cement core. 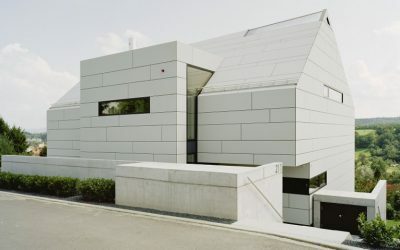 The series EQUITONE [pictura] are monochromatic fibre-cement panels with ultra matt surface finish. 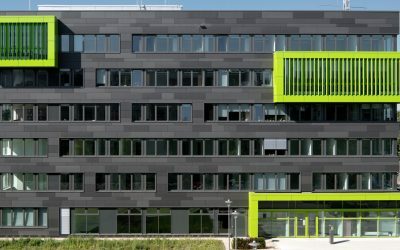 They do not reflect the colours of the surrounding nature nor buildings, which allows the close realization of the exact colour idea of the Architect. 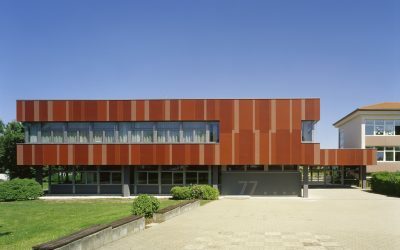 The series EQUITONE [textura] are monochromatic fibre-cament panels with rough surface, which does not allow the exhausted gasses from the urban surrounding to fix to the facade since they are self-cleaning naturally with the first fallen rain. 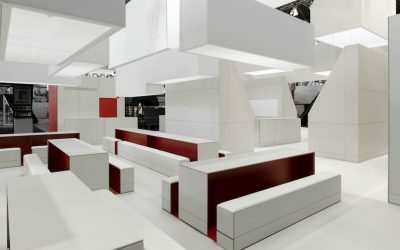 The fibre-cement panel from the EQUITONE [linea] series has a 3D shape, which allows the interplay of light and shadow. Linea demonstrates linear relief as if modelled by a craftsman’s fingers. 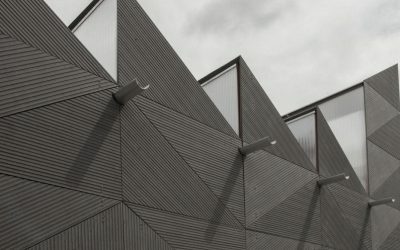 The fibre-cement from the series EQUITONE [materia] is coloured in the façade material core and is characterized by a very special mechanical treatment aiming to achieve a very rough surface from the ‘render’ type. 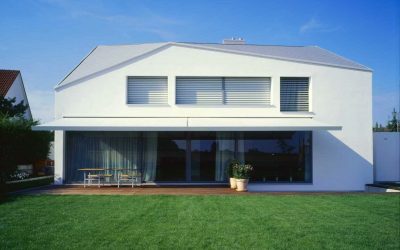 Calcium silicate boards with medium density, reinforced with fibres, without inorganic fibres. The material comes in with standard thickness of 10mm, with beige colour, smooth surface on the front side and textured surface on the other. 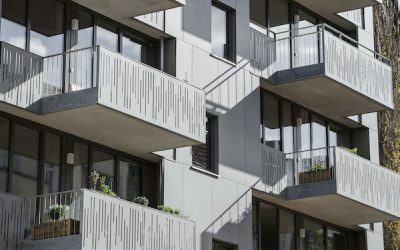 The series EQUITONE [balcony] are two-sided fibre-cement panels with rough surface, which does not allow the exhausted gasses from the urban surrounding to fix to the facade since they are self-cleaning naturally with the first fallen rain. 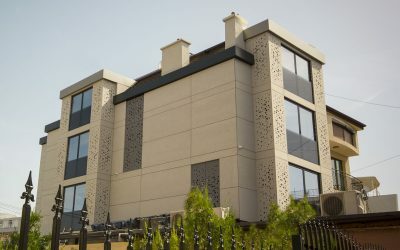 All EQUITONE panel types (series) can be perforated with custom designs, such as graphics, images or different detail configurations (according to clients wishes).